Whether your budget is $10,000 or $200,000, this roundup of modular home prices in your area puts prefab within reach. Once regarded as uninspiring look-alikes with no personality or pizazz, modular homes can now be found in just about any configuration you can imagine, and at just about any price point. 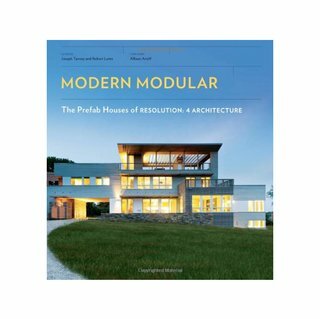 Not only that, modular homes have become incredibly of the moment, incorporating modern design and sustainable practices for maximum efficiency. 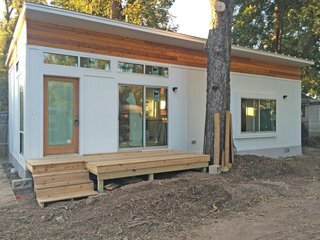 The problem is, many potential buyers don’t know much about modular homes. That’s why we’re here to clear up any confusion—after all, modular homes make great dwellings for today’s modern families looking for energy-efficient and affordable options. 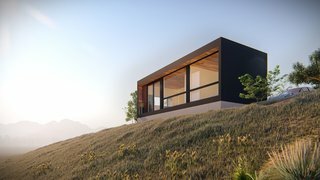 Based in New York City, Cocoon9 takes a unique approach to prefab homes, offering a line of tiny homes with high-quality construction and finishes, smart technology, energy efficiencies, and versatile spaces that are ready for the modern market. Their models start at 160 square feet and go up to 480. Although design and production of each prefab takes about four weeks, on site installation typically takes under one week to complete. 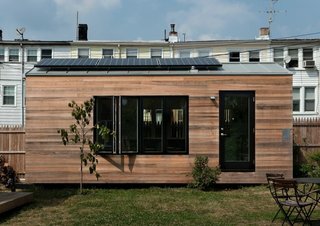 Modular homes are built as several large pieces in climate-controlled indoor factories, then pieced together at the site the homeowner has chosen. During construction, modular homes are subject to extremely rigorous quality control standards. The truth is, modular homes are just as—if not more so—sturdy as stick-built homes that are constructed fully on site. Today’s modular homes are made to withstand wind speeds up to 180 miles per hour. 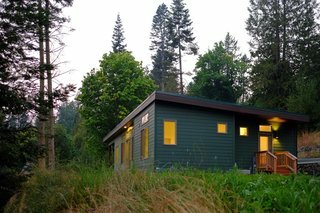 Are modular homes less expensive than regular homes, and by how much? 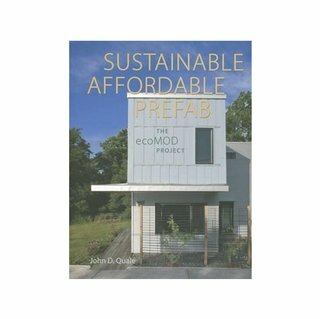 You’ll be glad to know that another major benefit of prefab homes is that they are generally less expensive than stick-built homes; choosing a modular design can save as much as 15 to 30 percent over traditional homes. Most of that savings is reflected in the much shorter build time. Since they are constructed in indoor factories on assembly lines, modular homes are much less labor intensive than traditional, stick-built homes. Be aware, however, that the price you’re quoted for a prefab home often won’t include additional costs like land, permits, site work, customization, and transportation. Here, we’ve rounded up a sample of modular homes at a variety of different price points for every budget. The modular home prices featured here are just for the homes. Additional costs mentioned above will apply. No matter where you live across the United States (and even worldwide), you shouldn't have any trouble finding modular homes under $200,000. Given that modular homes are often cost-effective choices, the modular homes under $200,000 that we’ve included are spacious with lots of stylish customizations. Constructed with durable Montana timber, corrugated metal roofing, and energy-efficient windows, the FUSE 2 by Ideabox is a 1,360-square-foot modular home. IdeaBox expertly makes small spaces seem much larger with seamless views of the outdoors, 8-foot ceilings, tall windows, and light, airy interiors. 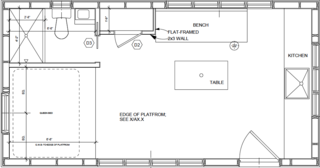 These features make the FUSE series a popular option for modular homes under $200K. 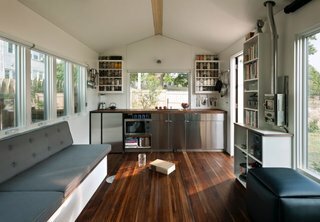 At 550 square feet, Ma Modular’s "Grand Ma" model is one of the larger modular homes under $200K on our list. Prices vary—modular home prices in Texas for this model are $225 per square foot, bringing the Grand Ma to about $124,000. Modular home prices in Pennsylvania for the same model are somewhat less, at $118,000. Finally, to own the Grand Ma in Florida, you’ll pay about $107,000. Despite the small size, Brightbuilt Homes’ modular homes under $200K are tastefully designed with modern touches, like light-toned hardwood floors and stainless-steel appliances. 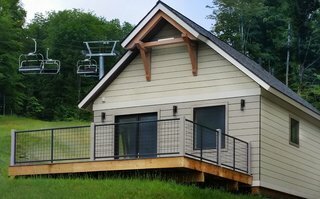 Brightbuilt Homes has been constructing beautiful modular homes in Maine since 2005. 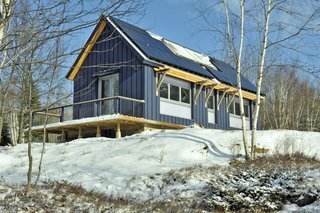 Modular home prices in Maine reflect the somewhat more expensive Northeast market: this tiny but tasteful, fully customized, net-zero energy barn runs about $280 per square foot. The modular homes under $100,000 on our list don't scrimp on high-quality materials and stylish accents. At this price point, choices abound, so be sure to find the model that speaks to your individual taste. The handsome K6 Series, one of KitHaus’ largest models, offers modular homes under $100K. These can be customized to include an Ipe deck and hardwood siding, as well as corrugated roofing. All KitHaus frames are lightweight but durable, made with M.H.S. ** structural anodized aluminum framing. Modular home prices in Pennsylvania tend to be lower than in California or New York. But most pricing variations come down to external factors, such as land, customizations, transportation, and zoning costs. KitHaus serves many markets across the U.S., so final pricing may vary. 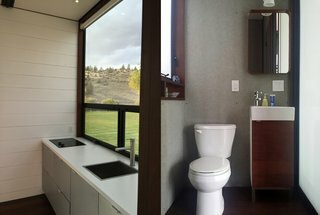 KitHaus modular homes offer modern touches, like sleek, angular designs and vanities made of timber. 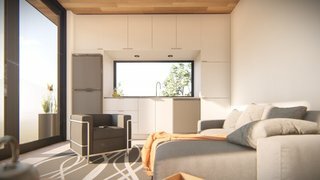 One of the most popular models of modular homes under $100K, the M.05 Studio by Honomobo offers small-space living with a unique twist; all of Honomobo’s beautiful homes are made out of shipping containers. 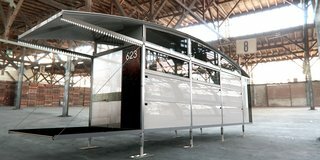 The M Studio is a 200-square-foot modular home made of extremely durable Cor-Ten steel, which is made to withstand the harshest weather conditions. Offering a truly seamless indoor/outdoor experience with floor-to-ceiling windows, the M Studio, like all Honomobo models, can be customized with a variety of upgrades, like this high-gloss white cabinetry and premium countertop. Steel Homes, a Florida–based modular home company, faces a unique problem: how to design and build a modular home that can withstand the frequent hurricanes the state sees. That’s why these modular homes under $100K use light-gauge steel. The high strength-to-weight ratio maximizes building design flexibility and provides rigid structural integrity. 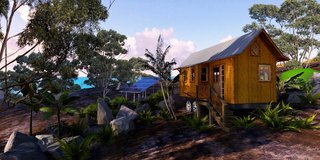 Modular home prices in Florida are comparatively cheaper than in markets like California, New England, and D.C. At 1,010 square feet, the Tulip is Steel Homes’ smallest model, with a price tag right around $80,000. 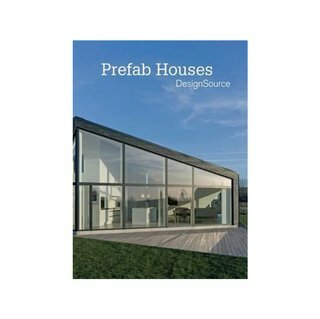 The amazing global story of the prefabricated house, once regarded as a cheap and easy solution, now synonymous with ambitious design and sophisticated detail. 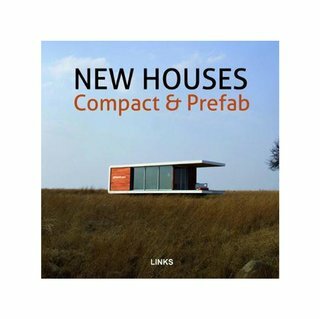 This book features a unique compilation of prefab houses as well as contact details for relevant suppliers and manufacturers. 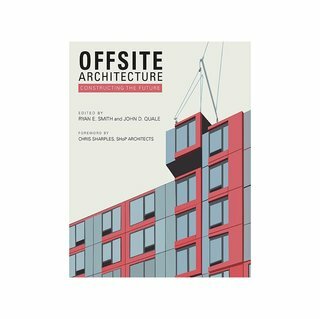 Prefabricated housing of high design and quality construction has long been an elusive goal for architects, where industry practices, bureaucratic regulations, and cost have always stood in the way— until now. For many, the idea of prefab housing may bring to mind trailers and other less desirable images of home life. Go big on style and small on size with our selection of modular homes under $75,000. Though these modular homes may have less square footage, they make innovative use of the space. Begun as an architecture school project and later patented through the University of South Florida, AbleNook is a flat-packed kit home comprising aircraft-grade aluminum framing and SIPs. Adjustable leg jacks mean that the homes can be assembled on uneven terrain, and the modules can be added to suit any building type and function: dwelling, temporary housing for disaster relief, school, office. 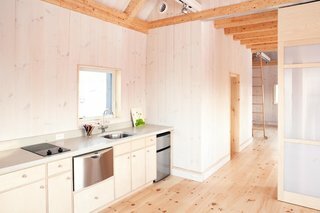 No power tools are required to assemble the modular homes. A larger, bespoke dwelling with a Smeg kitchen and spacious, skylit bathroom costs $65,000, with proceeds going towards production design for disaster relief AbleNooks. Deliveries are expected in Q3 2019. Based out of Canada, Jenesys Buildings offers three different designs of "Laneway" houses. The Wings model is an attractive, contemporary design, with an angled roof, modern finishes, and cladding. It’s a great option to consider if you’re looking for modular homes under $75K. Minim Homes are wrapped in beautiful, shiplapped cyprus that will gently age to grey. And a 960-watt solar array on the roof can be battery powered, allowing the home to be completely off-grid if desired. On the inside, genius design meets modern styling. 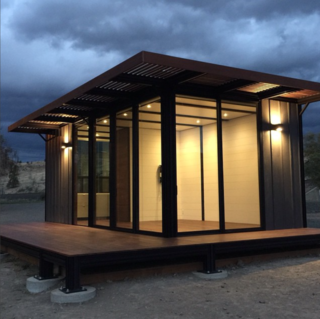 Minim offers one of the most innovative modular homes under $75K. The company has won numerous American Institute of Architects awards for their incredibly space-conscious designs. If you're looking for modular homes under $50,000, be sure to find a local prefab company to get the most bang for your buck. Steep transportation fees can make even the most affordable modular home prices rise quickly. While it's definitely possible to find modular homes under $40,000, you'll find smaller spaces with few customizations. Still, we've included some can't-miss models on our list of modular homes under $40,000. 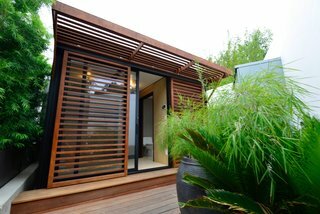 The Bonsai tiny home is one of Bamboo Living's many homes that use timber-grade structural bamboo as a building material. These innovative modular homes under $40K use bamboo-framed exterior wall panels, which are now available as single-wall (for warm climates) or double-wall (for a wider range of temperatures). On the exterior, the Bonsai uses natural split bamboo siding. Based in Pahoa, Hawaii, the company seeks to protect and restore the planet by pioneering the use of timber-grade structural bamboo as a tree-free building material. 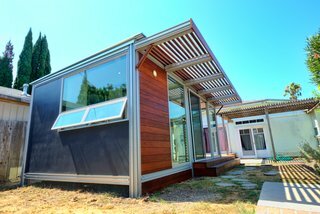 Designed by architect David Day and manufactured and constructed by Green Modern Kits, Casa Ti is a passive solar, one-story modern modular with a whopping 1,200 square feet and three bedrooms. That makes it one of the largest modular homes under $40K that we’ve seen. 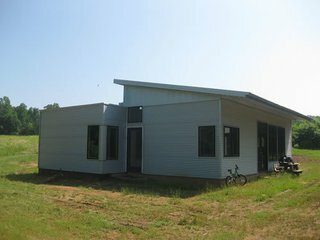 The net-zero, off-the-grid prototype is clad in SIPs (Structural Insulated Panels). Green Modern Kit homes come without anything included, and you’ll have to contract your own builder, but the kits are fully customizable. For the most part, modular homes under $10,000 aren't stand-alone living spaces, but rather add-on spaces. Consider these tiny spaces if you need an extra bedroom, a pool house, or a dedicated studio space. 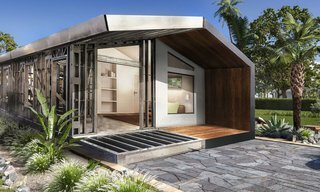 If you’re willing to sacrifice space for a super-low price tag in your search for modular homes under $10K, the K3 by KitHaus is an option. It’s adaptable as a backyard studio, home office, pool house, or play room, to name a few options. Its exterior is clad in corrugated galvalume or smooth, natural cement board with corrugated roofing, and floors are natural hardwood or finished plywood. 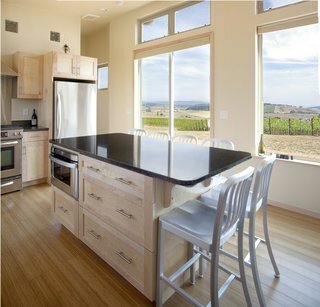 From Oregon Timberwerks comes one of the lowest modular home prices we could find. 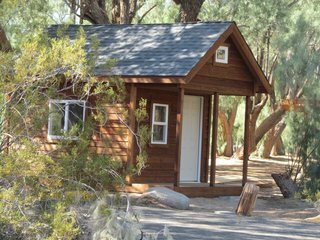 These adorable log cabins make great options if you’re considering a (seriously) tiny home. They’re well insulated and fully weatherproof, constructed with solid wood and plywood. The floors are constructed of pressure treated lumber and exterior plywood, and the walls are covered with tapered lap siding over plywood sheathing and a vapor barrier. 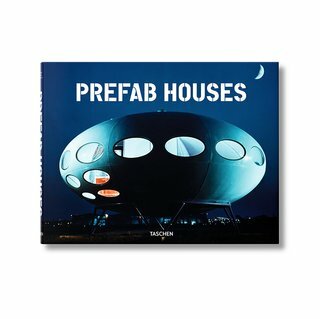 Architects have been intrigued by prefabricated construction since the early twentieth century.